Monogram Post Mount Mailboxes | Mailbox Collections, etc. 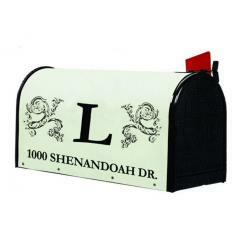 Beautiful Monogram Mailboxes in two monogram styles - the Classic and the Oval Monogram. They are constructed with a hand laminated fiberglass cover designed to withstand the harshest weather elements. Available in two sizes and in three colors.